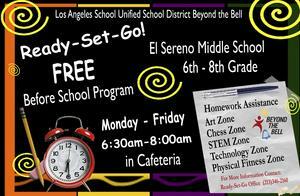 ESMS is really excited to announce that we will have a morning program before school this year. It will be from 6:30am - 8:00am. The program will support academics and even have a mobile lab and printer to help kids with homework and projects. Achieve3000 is available to students to use in Our READY-SET-GO morning program. 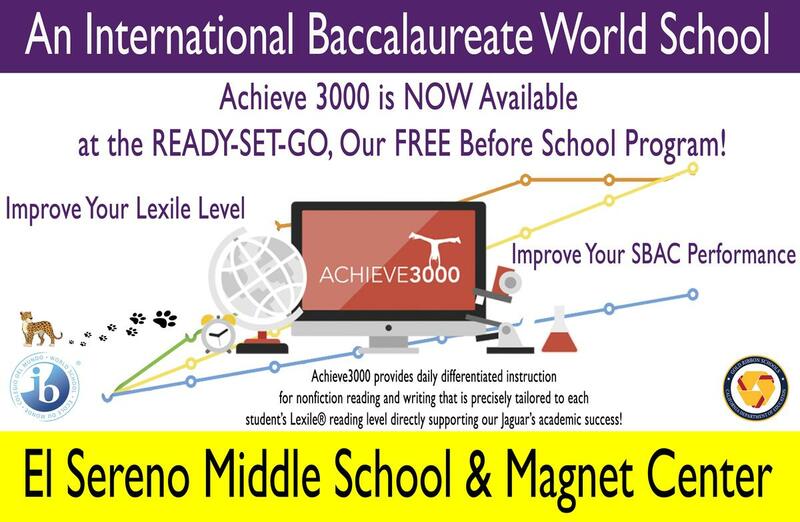 Students, Improve your Lexile Level & Improve your SBAC Performance!! 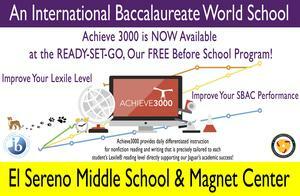 Parents, Achieve3000 provides daily differentiated instruction for nonfiction reading and writing that is precisely tailored to each student’s Lexile® reading level directly supporting our Jaguar’s Academic Success!